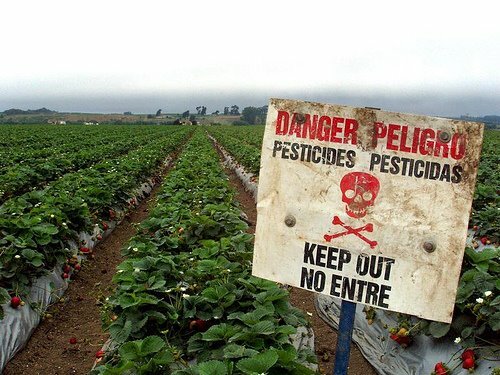 NPR: Pesticides – Pediatricians take a stance! It’s your right to make informed decisions about what you feed your children and family because, bottom line – you have the right to know what’s in your food! This recent NPR article caught my eye because with all the political hype lately regarding food labeling and genetically modified foods, where do doctors weigh in on this? NPR brings up the issue that for the first time, pediatricians are taking a stance in the controversy over whether or not organic food is better for your child. If a doctor tells you, as a parent, to shop organically to reduce your child’s exposure to pesticides, would you? Buying organic helps avoid or even eliminate pesticide residue. According to the American Academy of Pediatrics, purely relying on federal standards for pesticide residue is not always safe. This is because the toxins from pesticides affect our children more than a typical adult. Pesticides are more harmful to children because they are rapidly maturing. Their internal organs are still developing. Also, their excretory system isn’t fully developed so they cannot fully rid their body of pesticides. The EPA states the facts: children are especially sensitive to pesticides. They can even block the absorption of necessary nutrients in food, thus hindering healthy and proper growth. There are major links to autism, ADD, and brain issues due to the high level of these toxins. Also there is a correlation with mental health disorders in children like: depression, memory problems, and attention deficit disorder. 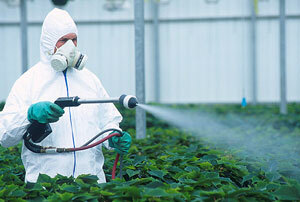 Even mild symptoms like nausea and dizziness can occur from pesticide exposure. Mercury, a key ingredient in pesticides, is actually linked to the first cases of autism! There’s a lot of controversy about Mercury, especially in regard to vaccines. There’s an interesting book called, ‘Evidence of Harm’, written by David Kirby. It’s a New York Times Bestseller and raises quite a medical controversy. NPR discusses a significant study that may have been the cause for pediatricians to take this stance. In a study of female farm workers, their babies showed developmental and motor delays when their mothers were exposed to pesticides. The level they were exposed to is the same as what the FDA deems acceptable. This has become a brewing controversy between pediatricians and Stanford University scientists after Stanford’s report last month saying buying organic isn’t important. Stanford thinks foods usually don’t exceed the federal limits of pesticide residue and that there are no nutritional benefits to eating organic. Now that’s a very strong statement. Please feel free to share your opinions on eating organic. Especially after all the links to problematic health issues in our kids. You can read more on our guest blog here, about the benefits of organic food and the link between pesticides and poor children’s health. It’s important to be extra cautious with children because their bodies cannot handle what we can as adults. Their immune systems can become compromised fairly quickly. You have to understand that our kids are vulnerable and chemical exposure is never good for a developing body and brain. The Shoppers Guide to Pesticides in Produce. Would we have enough food to feed our population if all our food was organic? That’s a very good question. That I don’t know!